Strabismus is a disturbance of the organs of vision, in which eyes not able to look simultaneously at one point. They can be directed towards the nose (convergent strabismus), temple (divergent), sometimes it happens that one eye is looking up (vertical). In adults, the disease in most cases develops due to paralysis of the ocular muscles or due to injury of the brain. Strabismus is treatable at any age. Strabismus is treated by complex methods. Begin treatment with optical correction of vision with glasses or contact lenses. Then develop binocular vision (the ability of the brain to merge two images into one). To do this, assign hardware procedures and a set of exercises that strengthen the eye muscles. Optical correction needed in the first place. Eye, the deviated, over time, loses its visual function and begins to see worse and worse. After examination, the doctor prescribes glasses or soft contact lenses. The goal of therapeutic treatment is to overcome the developed skill of suppressing one of the eyes, that is, in the restoration of binocular vision. There are a range of modern, computerized equipment able to cope with the problem promptly. Through a set of exercises designed to relax tense eye muscles, it is possible to cure strabismus. Pregnenelone back to the sun. Cover your hand with healthy eyes and begin to rotate your head to the side squinting his eyes so that it fell a ray of sunshine. Turns produce rhythmically without any effort. Do 10 turns. If you are mowing inside his left eye, cover with bandage right eye. Stand up straight and set forward the right foot. Lean back and stretch left hand to the toe of the right foot. Not changing position, lift the arm up like you show on the plane that flies to the left. Perform the exercise 12 times.If the left eye turns outward, set forth the left leg, bend and stretch the right hand to the toe of the left foot. Hand indicate in that direction in which to move the eyes. If your right eye needs to turn, push forward the left leg. Execute the movements, focusing on the required direction of the eye. 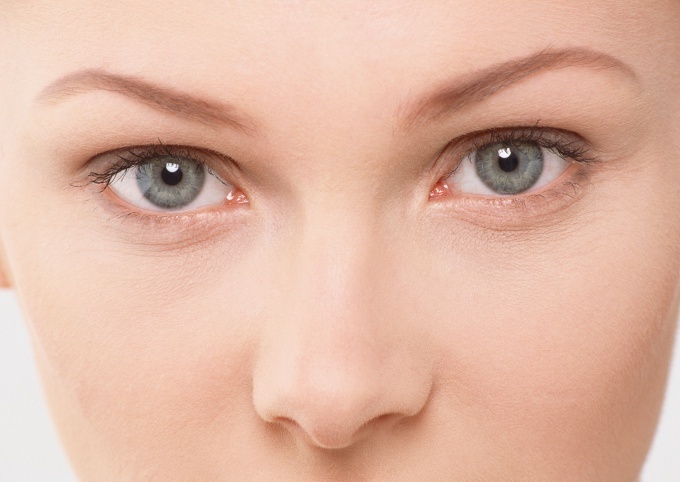 Forward bends stimulate blood circulation in the eye area. These exercises promote full muscle relaxation. Surgery for strabismus correction, usually performed for cosmetic correction. Surgery does not restore binocular vision. The goal of surgery is to strengthen or weaken one of the muscles that move the eyeball. In other words, in the correction of balance between the muscles. The operation is performed on an outpatient basis under local anesthesia. On the same day the patient vypisyvat home. After surgery, doctors prescribe a course of therapeutic treatment and exercises. Answer: the Eye, the deviated sees over time, getting worse and worse, its visual functions are suppressed. Therefore, treatment should begin as soon as possible. For the treatment of strabismus in childhood are special points. Strabismus: diagnosis and treatment. As mentioned above, to diagnose strabismus people can independently as signs of strabismus quite pronounced, but if there is a need to identify strabismus, come to the aid of the test for strabismus that will help in this task.